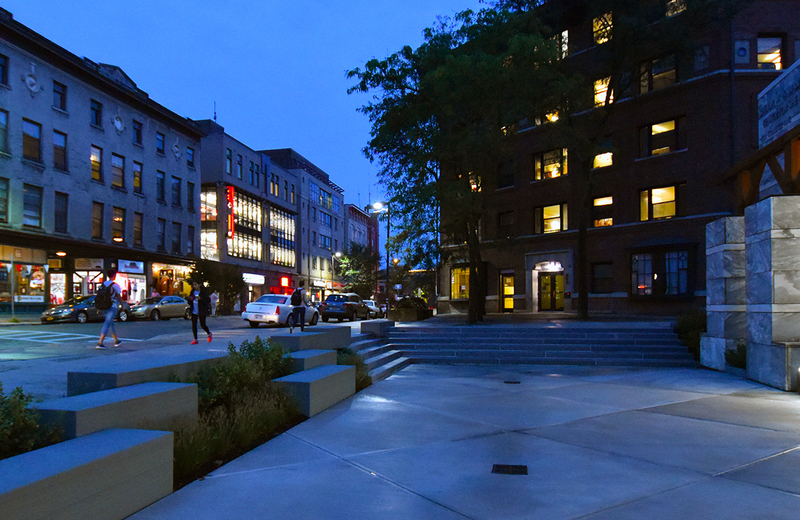 The Schwartz Center Plaza project transformed a little-used urban plaza into a lively community space. The innovative design received the ASLA Upstate New York Merit Award for built design in 2017. The Schwartz Center for the Performing Arts at Cornell University houses the Department of Performing and Media Arts and serves as a regionally important cultural facility. Located at the interface between Cornell’s campus and the city of Ithaca’s busy Collegetown neighborhood, the site sits atop the iconic Cascadilla Gorge. 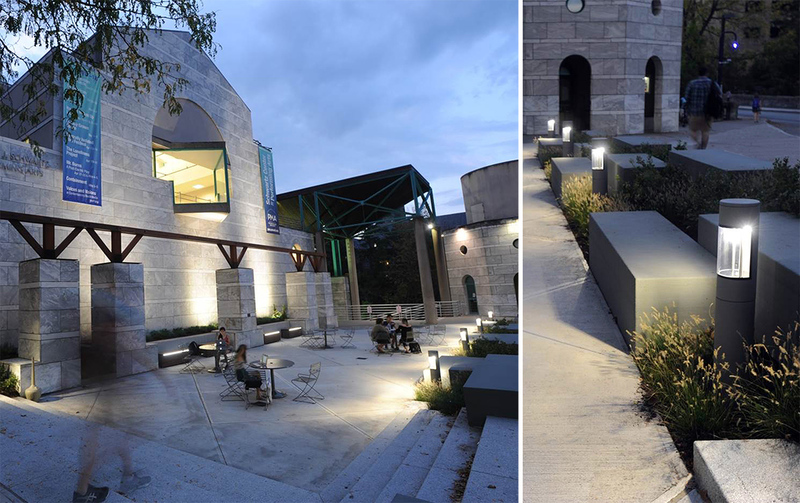 The formerly walled-off plaza was rarely used and prevented the Schwartz Center from engaging the active Collegetown streetscape. 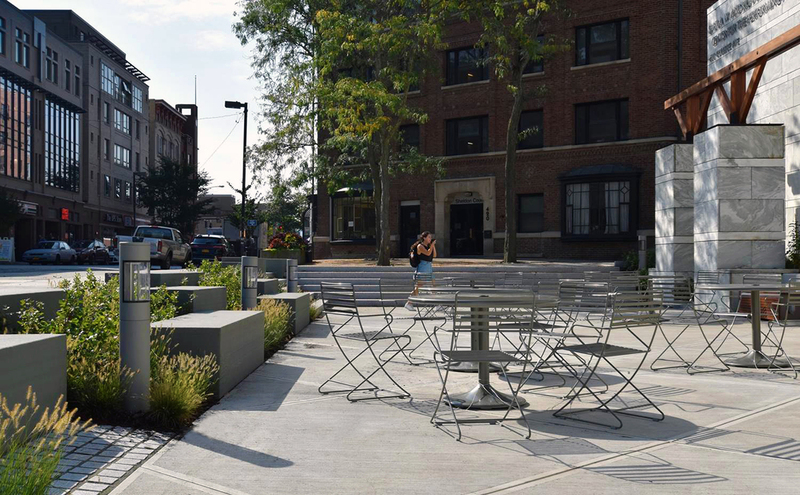 The new design re-established Schwartz Plaza as a publicly accessible space inviting to the community at this important gateway to Cornell. 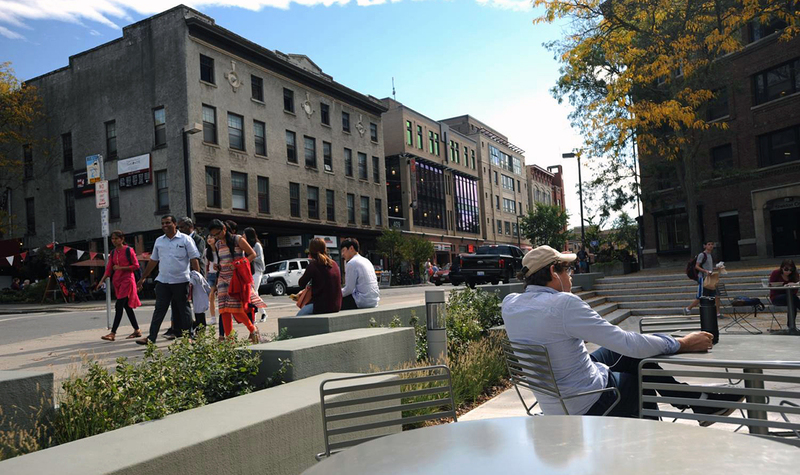 Day to day public use of the plaza now reflects the vitality and energy of the arts offerings within the Schwartz Center. The design of the project responds to the landmark architecture and integrates into the dense urban fabric of commercial and residential life. 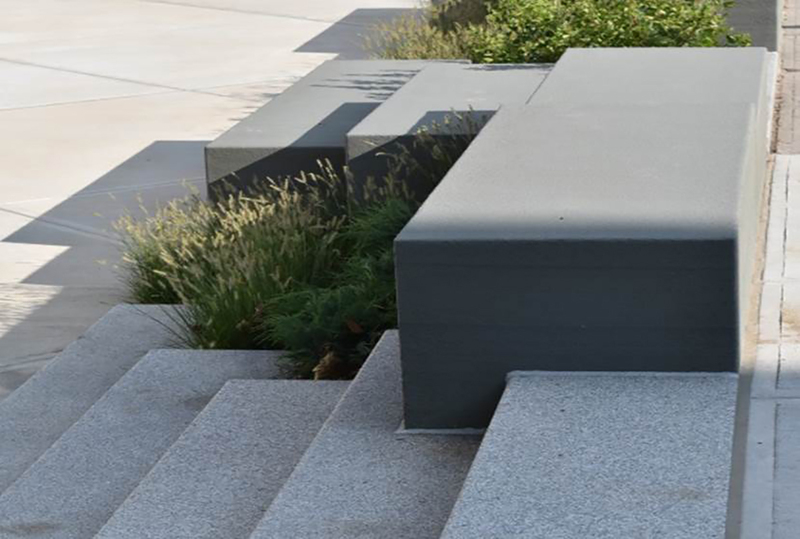 Native stone benches, artfully arranged with native planting, recall the adjacent gorge, and structures the site’s challenging grade change. 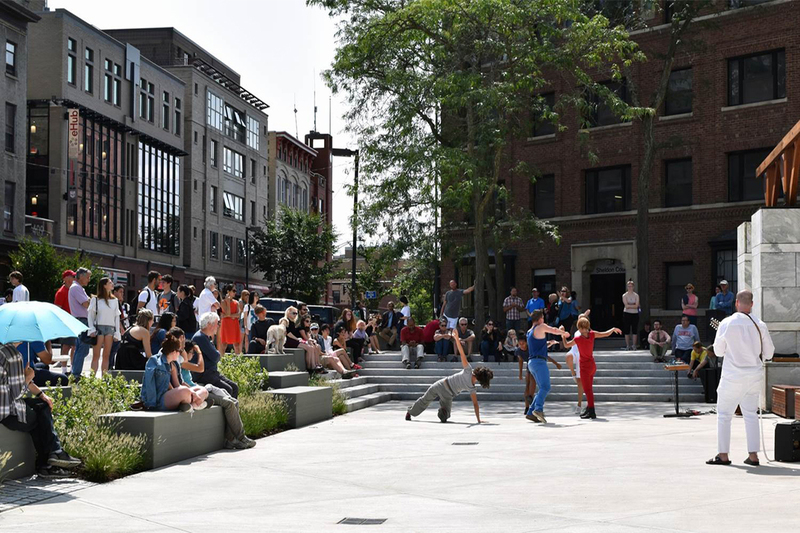 The highly permeable, open, and flexible space supports a wide range of programming, including public performances, and has redefined the role of Schwartz Plaza in the community.